Yessssssss. This is the Naked palette I've been waiting for my whole life!!!! 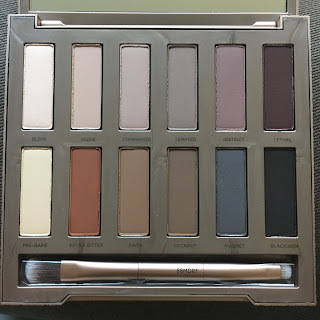 UD finally decided to release an entire Naked palette full of mattes, which is very exciting, because until now I've been using my two Naked Basics together as my go-to eye base colors. 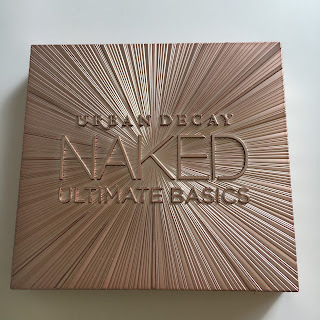 Before we get into the swatches, can we talk about the packaging for a sec? Instead of doing their usual long case, they decided to make it square. It's metallic, and the top is molded/textured. VERY luxe. Absolutely gorgeous. 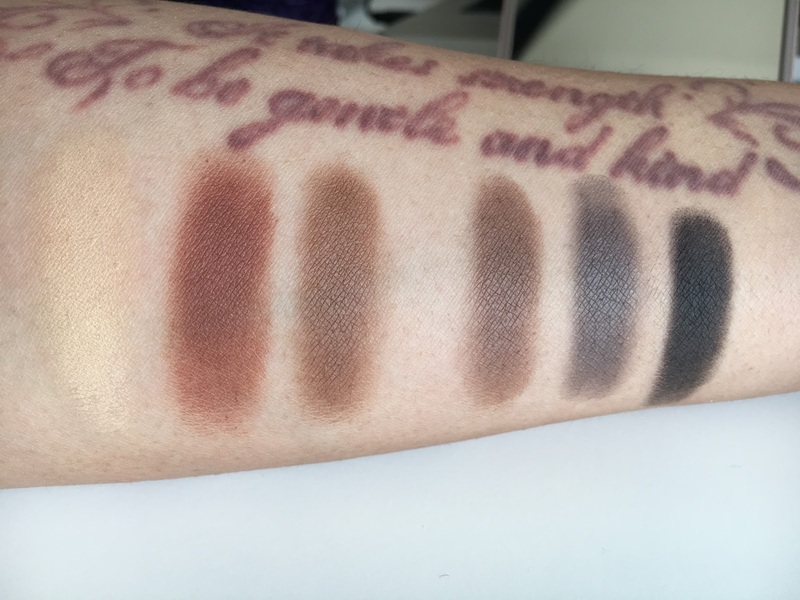 The very first shade, Blow, is not a true matte, but more of a satin. 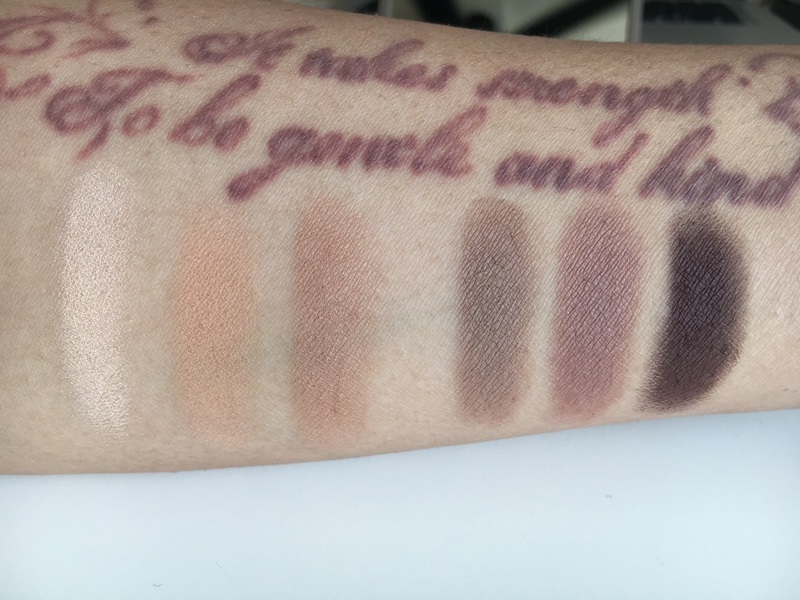 Everything else is definitely, definitely matte. And as you can expect, the quality is top-notch. 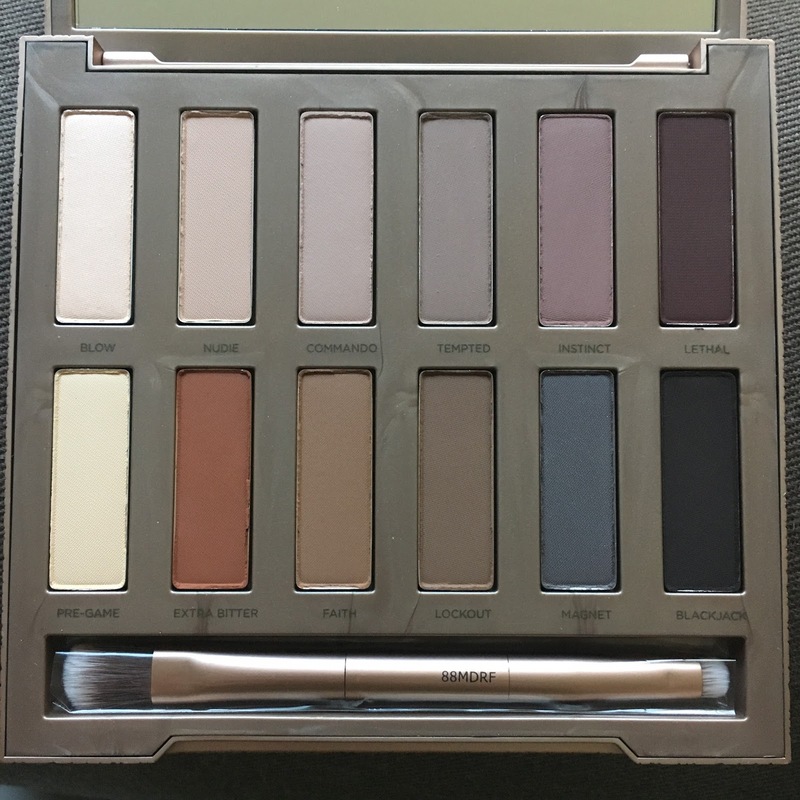 I can easily tell that this is going to be my favorite Naked palette, my go-to to supplement any other shimmer/glitter/bright eyeshadows that I want to wear. Real talk, though: If you own any of Kat Von D's Shade & Light palettes, especially the quads, you probably already have everything that you might need from this palette. If you're trying to avoid redundancies, well, you probably won't need to buy this. However, I think that this palette is a better all-in-one: it has great mid-tone neutrals, a touch of plum, a touch of orange, and a touch of smoky colors all together, and if you're the sort of person who only wants to open ONE palette to find everything you need for a complete look, rather than flipping through four or five palettes in the morning, then this is definitely for you.